PaceSetter Gas Furnaces | ACT Heating & CoolingACT Heating and Cooling, Inc. When you invest in a PaceSetter Gas Furnace, you are purchasing long-lasting comfort at a great price. 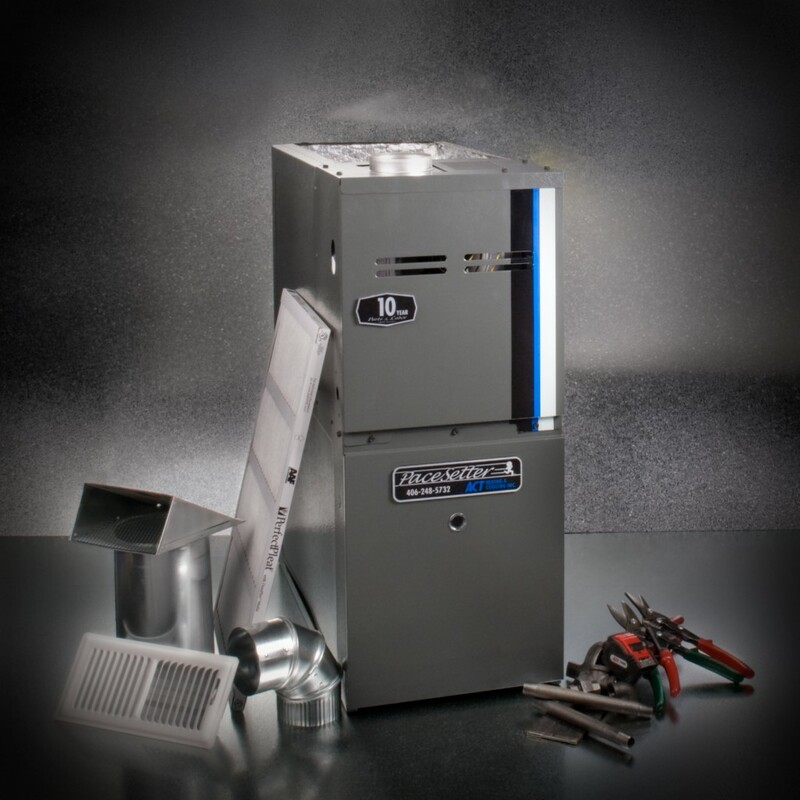 PaceSetter Gas Furnaces are designed to provide you with years of quiet, high-efficiency, trouble-free service that means significant cost savings for you, as compared to lower AFUE units. PaceSetter Furnaces are manufactured with quality components that you can rely on. These features include a quiet corrosion-resistant, induced-draft blower motor and has a durable Silicon Nitride Ignition System with integrated controls and diagnostics. Unlike conventional, single-stage furnace technology, PaceSetter’s Two-Stage Gas Valve Technology helps eliminate the temperature swings resulting from abrupt, high-stage stop-and-start of the furnace by operating at a low heating stage the majority of the time. This enables your PaceSetter Gas Furnace to gradually and pleasantly increase the temperature of your home environment. If low-stage heating doesn’t warm your home to the desired temperature quickly enough, your unit will shift into high stage to ensure your comfort. The performance of the PaceSetter Furnace, a high-quality aluminized-steel tubular heat exchanger, is backed by a 10-Year Unit Replacement Limited Warranty: If the furnace’s heat exchanger fails on the original registered homeowner during the first 10 years after installation, the homeowner will receive a new comparable PaceSetter furnace for free. After the 10-year period, the warranty reverts to a Lifetime Heat Exchanger Limited Warranty for as long as you own your home; this is one of the strongest warranties in the industry. Additionally, the unit is protected by a 10-Year Parts and Labor Limited Warranty on all functional parts. Keep up the great work and service. The office sales, and installer personnel for this job are true professionals. I’m glad I chose ACT and will continue to rely on you for my heating and cooling needs. Thank you all.